How Were the Pilgrim & Puritan Colonies Similar & Different? What Led the Puritans & Pilgrims to Settle in North America? 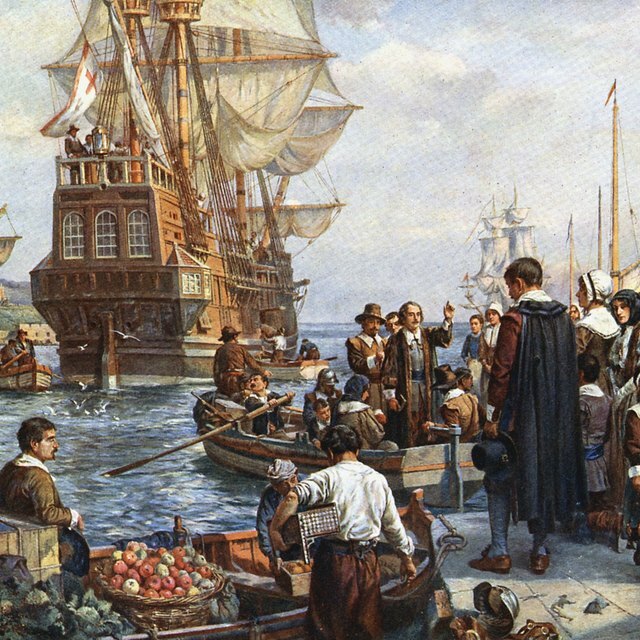 The Pilgrims left Holland in 1620 for Virginia but landed at Plymouth, Massachusetts. 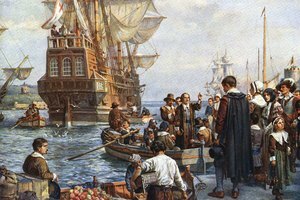 Puritans and their Pilgrim subset were religious groups in England that immigrated to the New World in the 17th century. Puritans thought the national religion, Anglicanism, displayed too much similarity to Catholicism, the dominant European religion, which England renounced in 1534. The church needed to “purify” itself through reforms, advocated the Puritans. 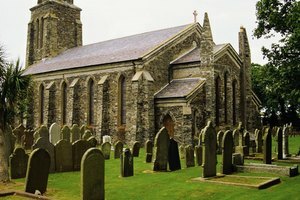 From 1564, when the purification movement began, to 1630, when they began a mass immigration to America, Puritans, in general, remained loyal to the Anglican Church and its leader, the King or Queen; however, there were some Puritans who wanted to separate from the Anglican Church. Pilgrims were separatists, a minority within the Puritan movement, who believed there was no way to purify the church; instead, they wanted to leave the Anglican Church and England itself. Though both groups shared a dislike of the state of English religious affairs, most Puritans wanted to remain in both England and its church, while the Pilgrims, as radical separatists, wanted nothing more to do with England or its religion. Puritans attempted to demonstrate their worthiness of God’s grace and their likelihood of salvation through lives of wholesomeness. The problem, for Puritans, was that all English citizens had birthright membership in the Anglican Church. This meant that sinners, or evildoers, attended church along with the pure. Drunkards and gamblers sat alongside the saints. The Anglican Church should be as pure as possible since it represented the nation, Puritans thought. The Pilgrims, a minority within the broader Puritan movement, were ultra-pessimists that thought there was no possibility for England or its church to achieve purity. Unlike the majority of Puritans, Pilgrims refused membership in the national church, practicing their own faith in secret meetinghouses. The government targeted Pilgrims almost from the onset of their sect sometime in the 1570s. Members faced fines and imprisonment. Because Pilgrims tended to be farmers and artisans, they wielded little power in society, which perhaps made the government more willing to persecute them than other religious dissenters. 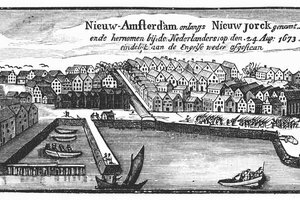 A persecuted minority, many Pilgrims left England in 1608 to relocate in Leyden, Holland. There, the Pilgrims experienced religious freedom to practice as they saw fit; however, problems arose when the younger generations began embracing questionable religious doctrines and becoming too “Dutch” for their parents’ liking. As a result, the Pilgrims again moved, this time to the New World, in 1620. On November 20 of that year, the Mayflower landed in the southeastern portion of Massachusetts, where the Pilgrims founded the Plymouth Colony. When King James I ascended to the throne in 1603, he began a campaign to persecute any religious dissenters. 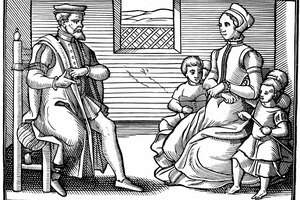 James began to fine and arrest Puritans in general, not just Pilgrims, making them realize the changes they desired were not to come. Facing increased scrutiny, mainstream Puritans reluctantly began contemplating relocating to America. From 1630 to 1643, twenty-thousand Puritans joined the great migration to the New World, settling largely in the northeast region, known as New England. New England was to be a shining example to the world of what England could be with religious reform. 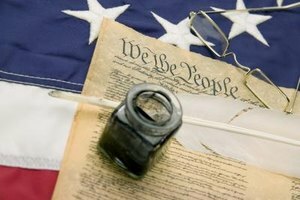 Puritanism: A Very Short Introduction; Francis J. Bremer, Ph.D.
Nation of Nations; James West Davidson, Ph.D.
Encyclopedia of North American Immigration; John Powell, Ph.D.
Kenneth, David. "What Led the Puritans & Pilgrims to Settle in North America?" 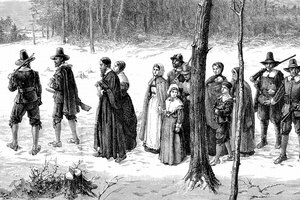 Synonym, https://classroom.synonym.com/what-led-the-puritans-pilgrims-to-settle-in-north-america-12087336.html. 29 September 2017.